Will wearable computing take us by storm? The world of wearable computing is evolving at lightspeed and the impact these connected devices will have on our daily lives will be dramatic. 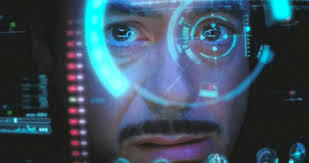 From the simple fitness devices we see today, to the smart watches and google glasses which are just around the corner, we are not too far from some of the visionary scenes of a movie like ironman. Mobile Connectivity is almost everywhere, being it through Wi-FI or 3G and LTE, we can now be constantly connected with our mobile devices and at affordable rates. Mobile data share plans will also make it easy to connect more devices to our current subscription, but in the worst case you can always use your mobile phone or home gateway as an aggregation point. The truth is, that any device that benefits from a connection will have one. The phone is most likely to be our aggregation point for data traffic, since this is the device we always carry with us, but this might change over time. Wearable devices are becoming mainstream, fitness devices produced by Nike or Fitbit are already part of the common sports gear and soon we will see smart watches from Sony and Apple on retailer stores. 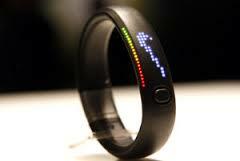 Health monitoring devices are also appearing as mass market devices. Many of the devices we see right now are very much single function or very focused functionality which means they do not necessarily need to be open to the developer community but this is changing as the device becomes more of an interface to the rest of the world. Many devices manufacturers that see the wearable device as an interface or a portal will most likely want to build on open operating systems, being it Linux or Android they are providing open API’s to stimulate innovation and community engagement. 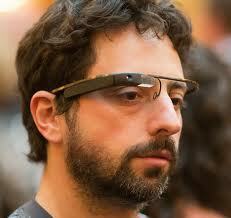 We see this already with Google Glass supporting HTTP REST API’s to interface with their device. Google’s main competitor Vuzix is taking a similar approach and seem to have come even further since they have a rich SDK and a developer program to encourage innovation. In addition to these hub devices, with Open API’s we also see companies developing sensors that can be embedded in cloth and some even washed. With the availability of cloud and bigdata infrastructures it also means that the data captured by these wearable devices can rapidly be processed and insights can be actionable insights can be gained. It also means that the data can easily be augmented to be provide new information and insights to the end-user of the device. Imagine yourself walking through a book store with you google glasses and by zooming on the ISBN, or barcode you get access to instant book reviews from Amazon, pricing information and other information about the book author. The system could also provide you with recommendations you might like based on your previous readings and by access the local in-store information portal you could actually get guidance on which shelf to find the book. That is if you are still going to bookstore.. but I guess you get the point. Cloud, bigdata and analytics could change the way we use devices and transform them to become some kind of life support system. 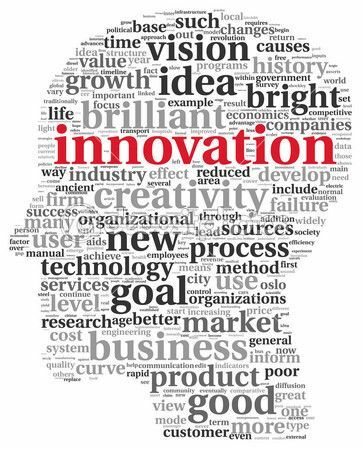 I believe consumer and businesses will both drive the development of wearable computing. On the business side devices like smart glasses enhanced with augmented reality will allow major costs saving and efficiency improvements in the enterprise, especially in segments where you need your hands free. A good way to exemplify this is how SAP and Vuzix are partnering to bring augmented reality solutions to the enterprise. In this video, you can see how the smart glasses allow a logistics worker to get important information and guidance in his daily warehouse activities while keeping his hands free, this allows him to save time and avoid dangerous situations. If elaborate a bit more the needs from job safety you can find all kinds of wearables devices, what if you would start measuring vital signs of people working in hard physical environment, that could help do preventive care. On the consumer side healthcare and fitness are two big interest areas and we see more and more self-diagnosis and monitoring devices appearing on the market. If you have a sense of humor, you can also check out some more exotic projects like Durex Fundawear.The famous condom manufacturer is working on underwear which can be controlled with you mobile phone, no more on that! Another interesting example is the invisible bicycle helmet, it looks like some sort of scarf, but is in fact a hidden airbag for cyclists, that use sensors that determines when to unfold. Earlier this year Juniper Research issued a report forecasing a total of almost 70 million smart wearable devices sold in 2017, including smart glasses, health and fitness devices along with enterprise wearables, compared to almost 15 million sales in 2013. I believe these numbers are still conservative. So will wearable computing take us by storm? I believe it will, the technology is there and the benefits are huge both for the consumer as well as the enterprise, but time will tell how fast this will really happen. Also I am sure I have missed plenty of use-cases and companies doing great stuff. I would love to get your feedback, experiences and thoughts about this topic. Apparently this is already a trend in the US, but it is the first I came across this usage of social media in Europe. The Arena of Verona announced a couple of weeks ago that it would provide discounted seats for people willing to tweet about the live performance they are watching at the Arena. This is an attempt to connect to the younger generations who are always connected and that might not be possible to reach with traditional media. The Arena wants to achieve two objectives with this: one is to reach out to the younger audiences but also to leverage on the viral effect we can get through social communities.The seats are well located in front of the stage so that the phone emitted light is not disturbing the actors and the tickets are attractively priced at 10 Euros. I hope there is no age limit, since I will certainly try to get one of these tickets during my next stay in Italy. I guess the ultimate objective with this initiative is that we get these wow feelings and emotions reaching to friends and families so that they also want to see the performance. More common is the usage of twitter in live TV shows, where it is mostly used to provide instant feedback and interact with show hosts, but then again that is from your living room. Interesting is that social media marketing is happening in Opera and theater environments where normally a “turn off phones” rule is the norm. Is this just an experiment or is this phenomenon here to stay? Most of the younger generations have probably never stepped into a theater or an opera, and getting these generations to make that move requires a bit of rethinking. Introducing twitter seats is maybe just what the performing art needs to reconnect with digital natives.